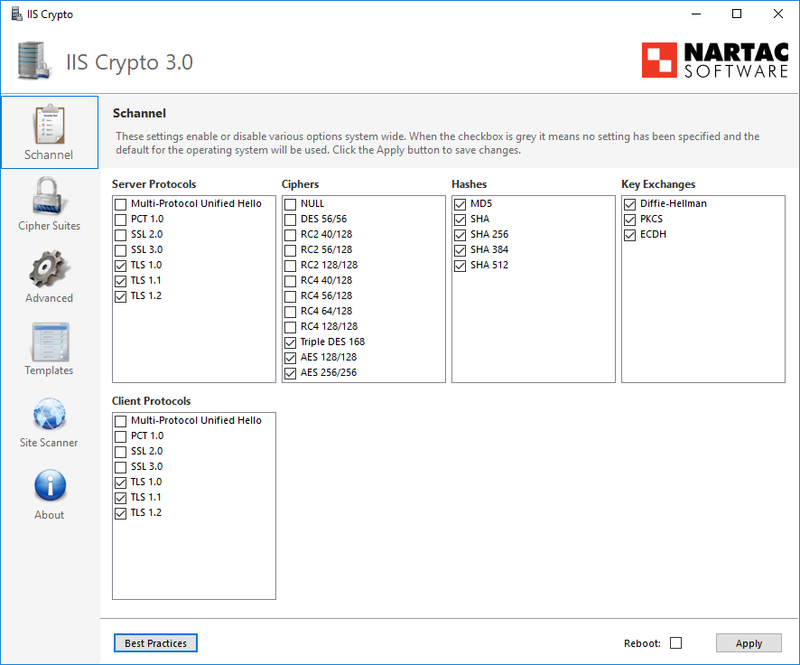 IIS Crypto, Great tool for reducing cipher exposure on your Windows boxes. Note: you may need to disable TLS 1.0 at this point, something that is not included in the “Best Practices” button of the tool. I expect they will update this eventually. © ProcessIO. Powered by WordPress & WPstart Theme.